I'm really excited to write about this topic because I think it's one of the most important days in someone's life. The idea of writing about weddings came from a casual meeting with a nice girl; two weeks ago, I was in San Diego, California and I met a lovely girl who owns a bakery, she is Peruvian like me, it was a happy coincidence. Well, the point is that she had some magazines in her bakery. Most of the magazines were bridal magazines. While I was waiting for my cookies and coffee, I started reading them and I thought "I'd love to write about weddings" There are so many new things for brides right now that I got so excited! Well, while I was reading the magazine, I started talking to my new friend about weddings and sharing some stories about them, it was very nice! so after all this excitement I decided to post something about weddings on my blog, but as you may know, I have a passion for boho fashion and eco friendly things, I'm going to share with you some of the beautiful things I found. If you're getting married in the near future, this post is for you or if you know someone who is getting married soon, this post is also for you; in fact this post is for everyone who loves weddings like me! In this post I included 3 options for the bride. The great thing about these options is that you can be any of those or all at the same time!! Hope you enjoy them! She is all about handmade and of course, a fan of Etsy. She loves one of a kind things. She also loves vintage inspired fashion. 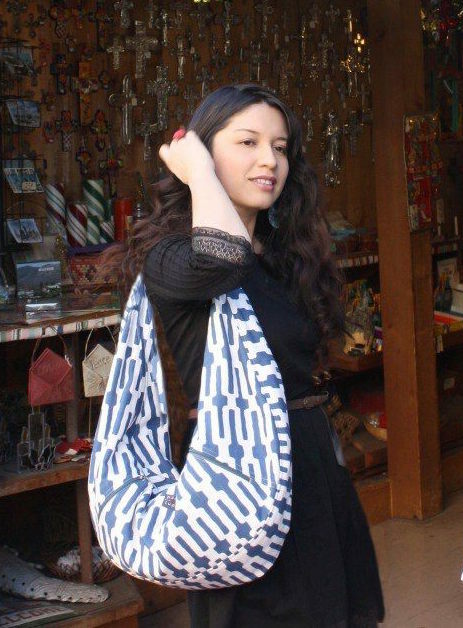 She appreciates art and crafts and loves to buy things straight from the designer and artisan's hands. An eclectic and unique bride. 3. White seashells clutch made by EightSeasons.etsy.com I really love their bold style and beautiful designs inspired by nature. 2. 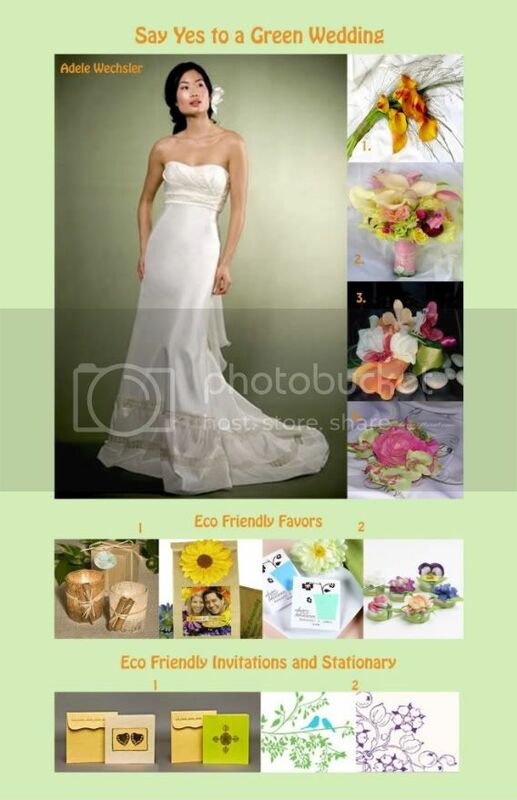 "Say Yes to a Green Wedding"
She is an eco-friendly bride, she wants to bring her life style into her wedding, knowing that even in the most important day in her life, she is contributing with the planet. She chose organic flowers for her wedding, she looked for a gown made of sustainable fabrics, she also chose soy printed invitations made with recycled materials, etc. There are many ways to make a "Green"wedding, if you really want a wedding completely eco-friendly, you'll find different options in the market. I understand that sometimes is a little difficult because of the budget, but I suggest at least to incorporate some eco-friendly elements to your wedding. A good start is to recycle as much as you can and save energy. 1. Bride's gown: www.adelewechler.com She has lots of beautiful options for the eco friendly bride. 3. Bouquet 3 and 4: www.amandarosefloral.com She makes amazing bouquets using silk. Her designs are soft and beautiful. 3. "Diary of a Boho Bride"
She is a bride who loves unique designs, earthy and over- the- top romantic looks. This look has also a fairytale-like feeling. I imagine a wedding like this on the beach or in a beautiful garden sorrounded by lots of vegetation and flowers. I hope to inspire you a little with this post. I'd love to hear your comments. Thanks! The BOHO Bride pics are just beautiful. I like them all, but that one is my favorite. Weddings are so beautiful and ethereal (at least I think they should be). Everything pretty belongs in a wedding. How adorable this is! Thanks for the inspiration! Oh I'm one of the brides you post about! 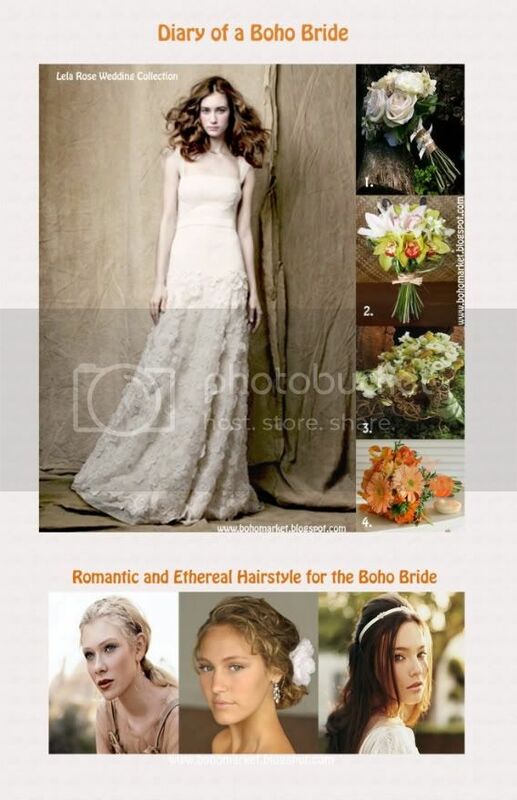 I love the boho bride. Seriously, what a great post! Pretty nice site you've got here. Thanx for it. I like such themes and everything connected to this matter. I definitely want to read more on that blog soon. Great post.I love the boho wedding! Rather interesting site you've got here. Thanks for it. I like such topics and everything connected to this matter. I would like to read more soon. 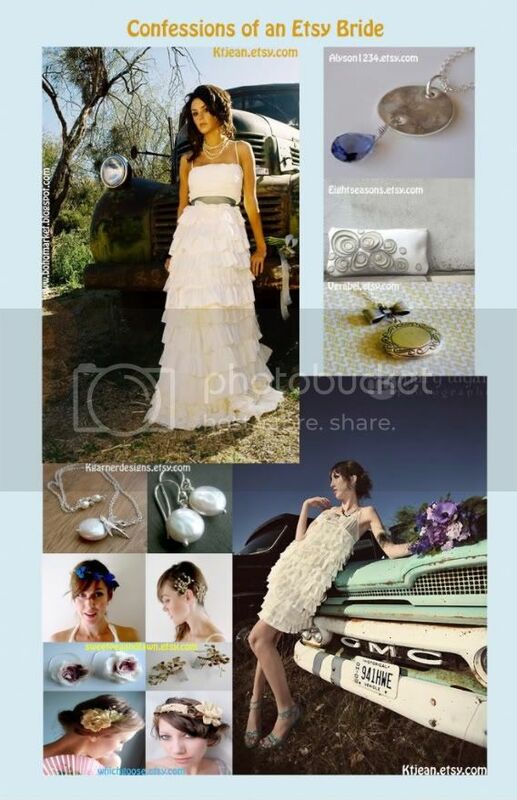 The wedding accessories used in the photos above are beautiful.